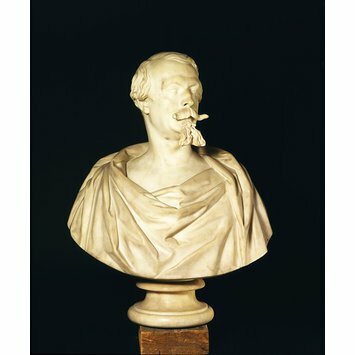 This marble bust is made by the Scottish sculptor Patrick Park in 1855. Charles Louis Napoleon Bonaparte (1808-1873) was President of the Second French Republic between 1850 and 1852, and Emperor of the French from 1852 to 1870. This bust was purchased from the Paris International Exhibition in 1855. Patrick Park was a Scottish sculptor, initially apprenticed to a stone mason. 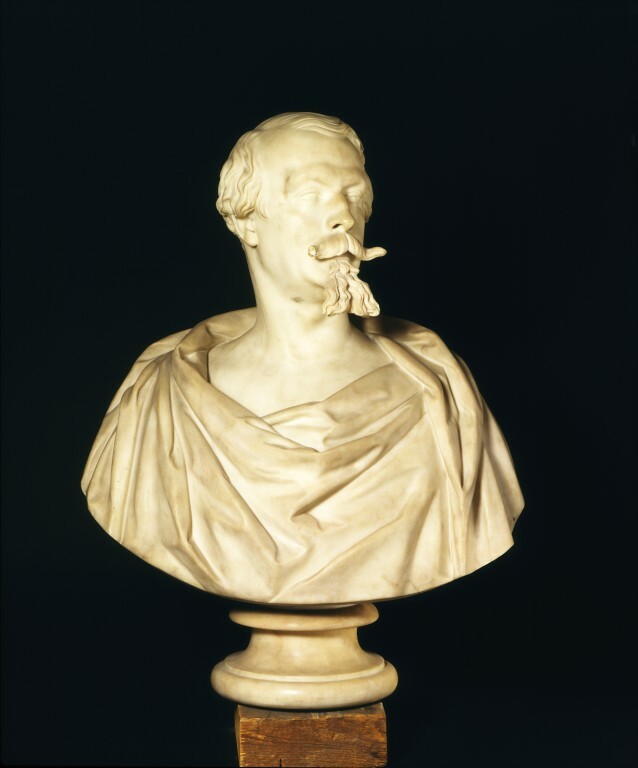 He studied for 2 years with Bertel Thorvaldsen after travelling to Rome in 1881. He was especially prolific in portrait busts. The sitter is slightly looking to his left. Signed and dated. Purchased from the Paris International Exhibition in 1855 for £150. Originally displayed at Bethnal Green Museum, transferred to the Department of Architecture and Sculpture, in 1976. A plater version of the present bust, probably the model for it, was formerly in the Kelvingrove Art Gallery, Glasgow, presented by the sculptor's son in 1906. It was probably destroyed during bombing in the Second World War.